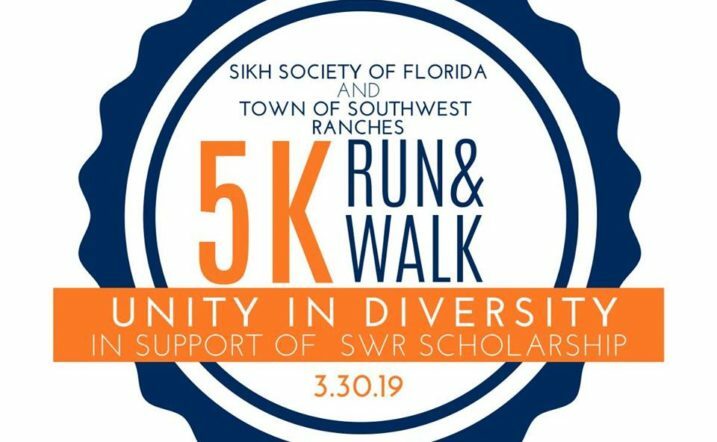 Sikh Society of Florida and the Town of Southwest Ranches presents SSOF Sikh Youth Association’s Inaugural Project A RACE FOR UNITY IN DIVERSITY In Partnership with the Town of Southwest Ranches Engaging and Empowering People From All Walks of Life. Sign Up Today by clicking here. Bollywood Retro Night – SOLD OUT! RESCHEDULED: March 31, 2018 – We’re excited to bring you Bollywood Retro Night and Charity Dinner benefiting The Living Treasure. To buy tickets, click on the calendar link below. 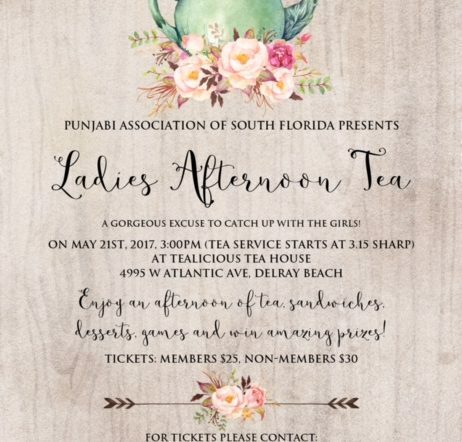 Punjabi Association Of South Florida is pleased to present our 1st Ladies High Tea. Come enjoy some tasty sandwiches, quiches, scones, desserts and a pot of your favorite tea. We will have fun games and amazing prizes for you to win. 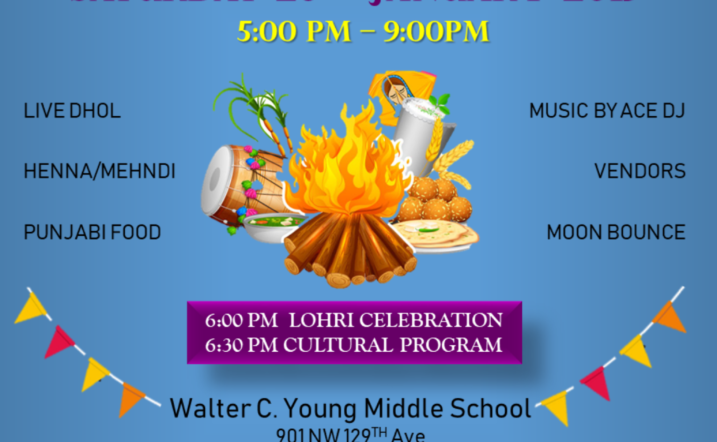 Dress to impress and bring your friends along for this fun event…. 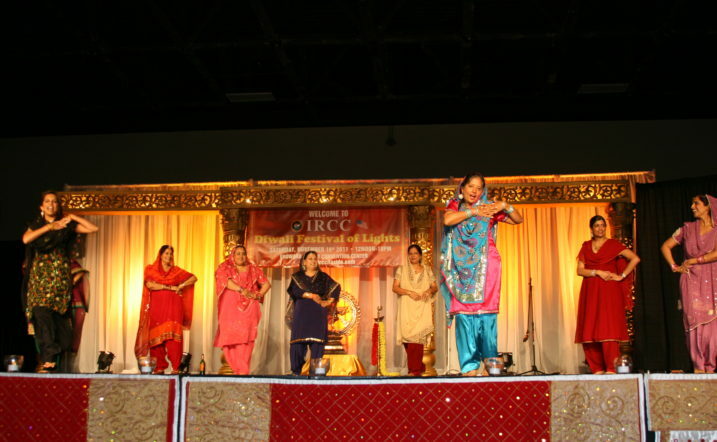 Welcome to The Punjabi Association of South Florida.